Click The Change Design link. You can change the entire design of your website at any time, allowing you to get a fresh start on your website. 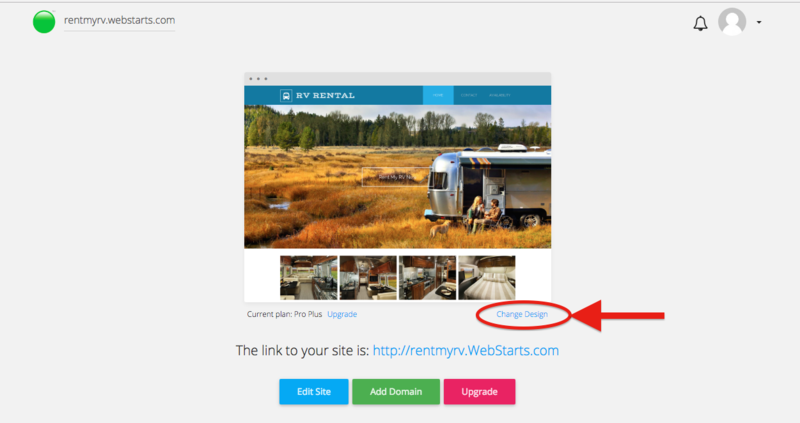 To change your page design, click on the "Change Design" link located just below the bottom right side of your Website Thumbnail. Note: Changing your design will delete all of your existing content, allowing you a fresh start on your website. You will need to confirm that this is what you want to do before proceeding to the next step. 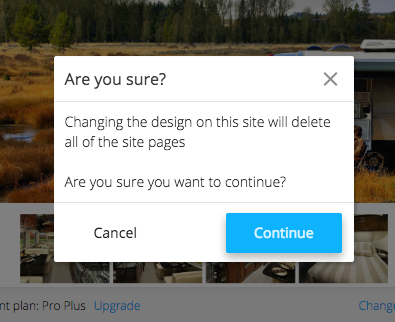 After you have acknowledged and accepted that changing your design will delete all of your existing content, you will be taken to the template selection page. 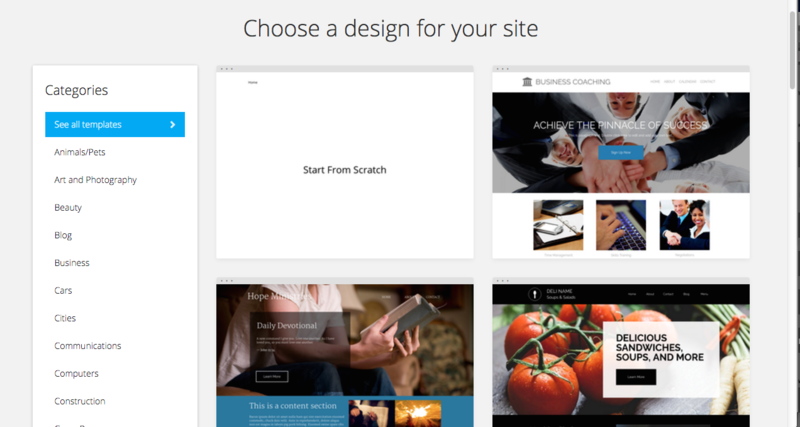 Here, choose from our list of hundreds of beautifully designed templates for your site. You can narrow the selection by choosing a category you are interested in or choose to see all templates to find something that fits your personal style. Once you find one you are happy with, click the 'Select' button to choose it. Once you have chosen your new template, you will be taken right to the website editor where you can immediately get started editing your new website design.